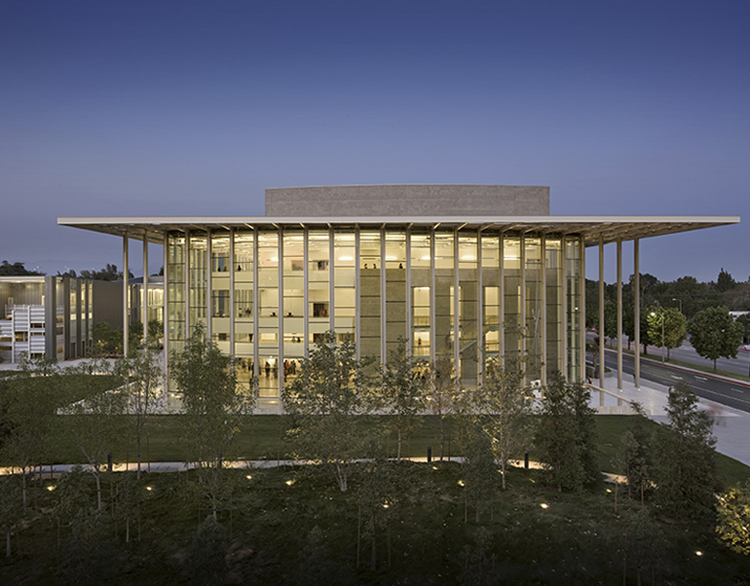 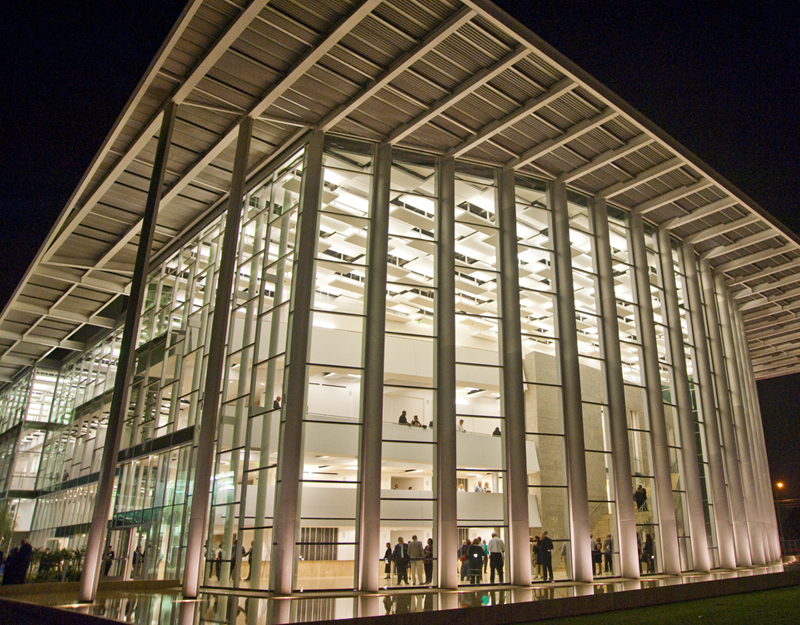 Best College Reviews rated CSUN's Valley Performing Arts Center #3 on their list of "25 Most Amazing College Campus Theaters"
Situated in the San Fernando Valley of Los Angeles, this California State University, Northridge (CSUN) facility includes a 1,700 seat performance hall, an experimental theater, rehearsal spaces, offices and studios for KCSN radio. 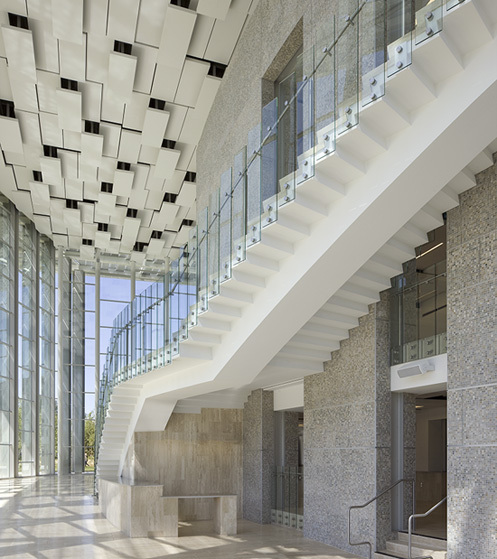 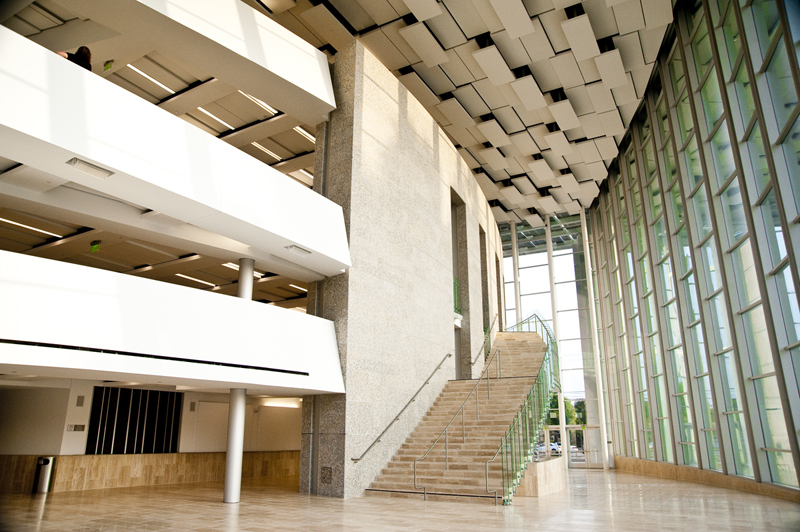 The lobby radiates with light and is embraced by its surrounding gardens through transparent and translucent materials. 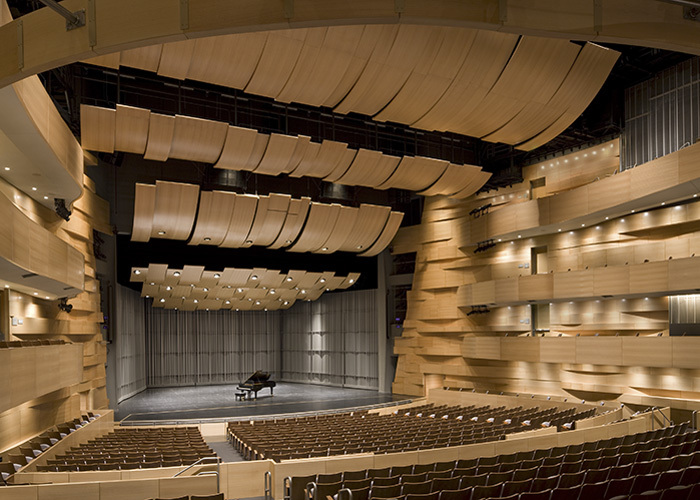 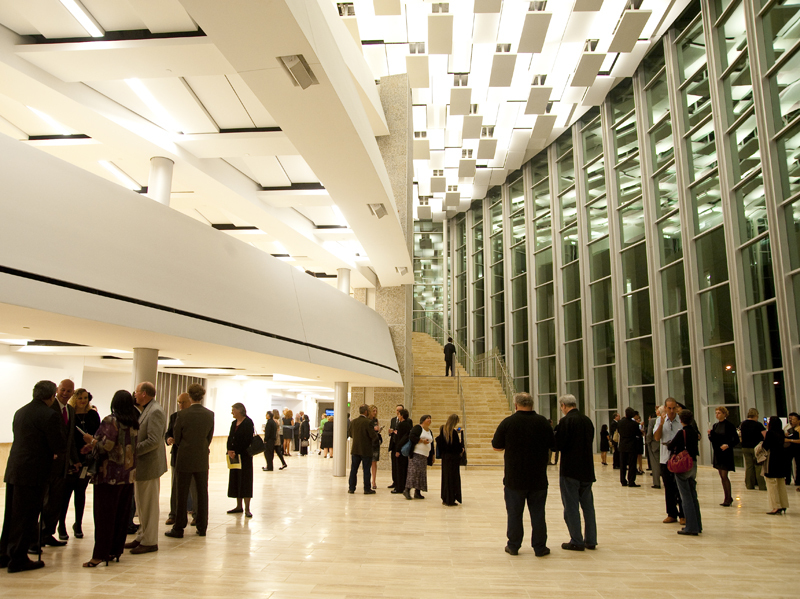 Warm flowing wood and sparkling stainless steel mesh walls create a lyrical and dramatic hall focused toward the performance. 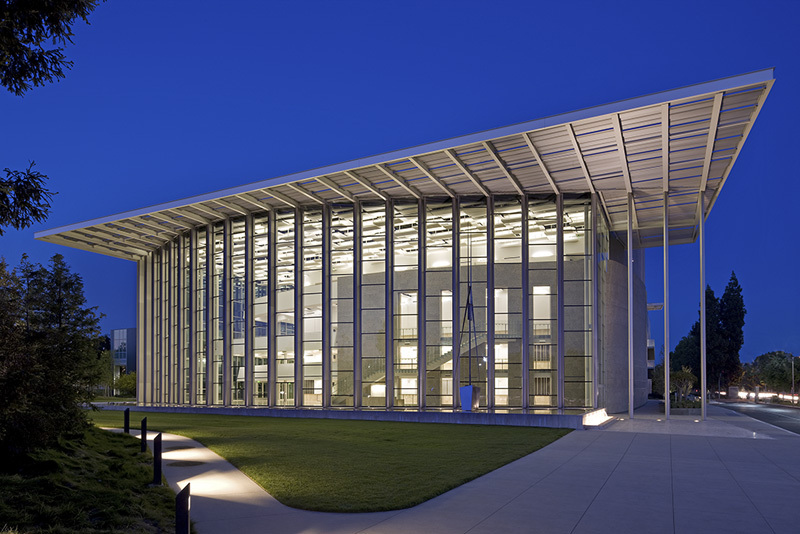 Kara Hill was Project Designer for this project while at HGA, Inc, the architect of record. 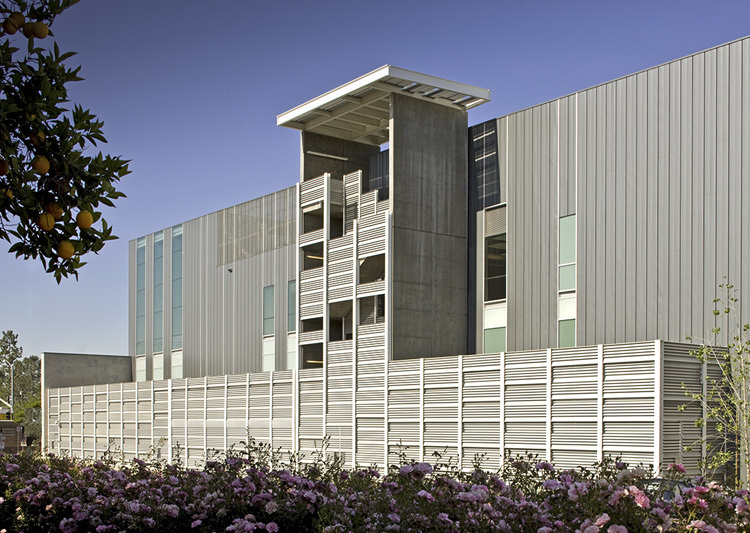 Photography by Tom Bonner/CSUN.